Dr. McGrew presented a poster in the history and heaching theme entitled “Applying the ‘Flipped Classroom’ Approach to Teaching Hybrid Neuroscience Courses.” Seven Belmont students presented a poster at the Faculty for Undergraduate Neuroscience chapter meeting describing their research using zebrafish under McGrew’s mentorship. Participating students included biology students Lindsey Cheek, Lindsey Dennis, Araceli Garland, Donald Hoyle, Tessa Shupe and Brandy Sweet and neuroscience student Samantha Gould. 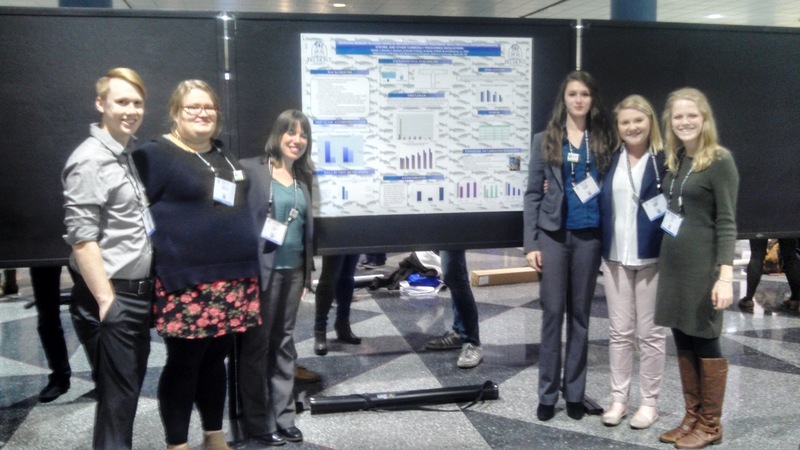 The students also had the opportunity to attend a number of conference events including the presidential lecture on neurexins and their role in autism and nanosymposia on anxiety, depression, learning and ethics. In addition to these conference events, McGrew attended a workshop on teaching neuroscience to nonscientists.